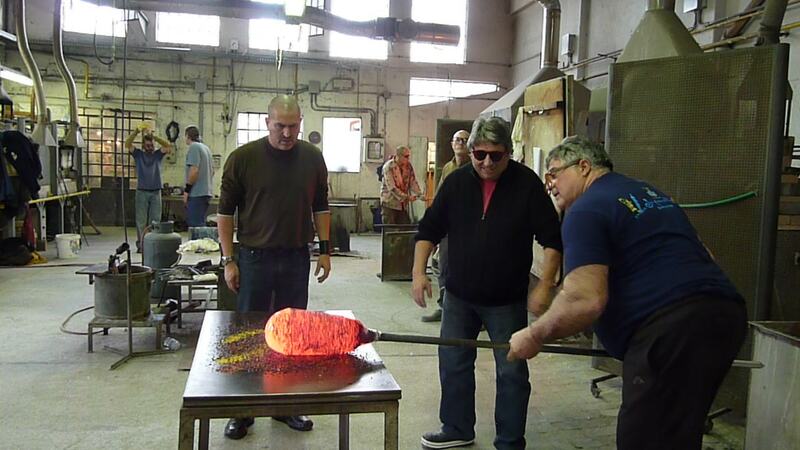 Glasstress World | Glassblowing is hot. Glasstress is cool. 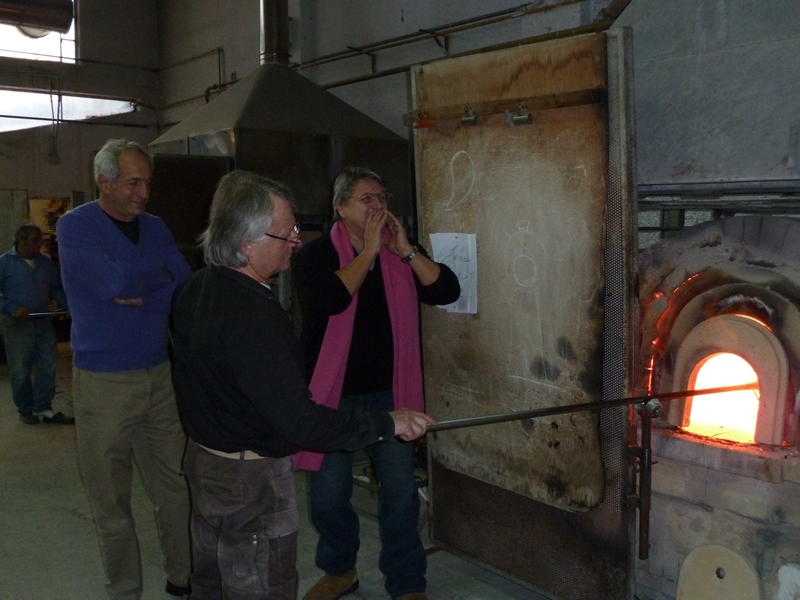 Glasstress World Glassblowing is hot. Glasstress is cool. 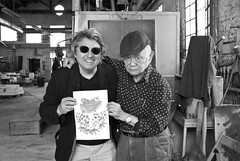 Demetrio Paparoni brings his creative expertise and vision to Glasstress 2011. Here, he explains the undeniable ties between art, architecture, and design. The theme of this year’s exhibition is the complex relationship that ties art, design and architecture together in an age thought to have moved beyond modernism. Comparing the opinions of various curators, Glasstress addresses this issue through glass sculptures specially made by major artists on the contemporary scene and through objects and sculptures made by designers, whose research was influenced by the formal aspect of the use of the object. Putting glassworks that respond to such profoundly different concepts next to each other in the same show is the equivalent of reviving critical issues that are far from resolved: What makes an object that is formally conditioned by its function a work of art? To respond to the spirit of the time, must a work refer only to itself? Can we say today that the function of a design object is itself enough to make the work alien to the spirit of the time regardless of its formal qualities? These questions, which are the basis of the 2011 Glasstress project, call into question the notion of “art for art’s sake” so dear to the 20th century avant-gardes. 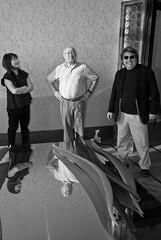 Glasstress 2011 offers the viewer food for thought about complex themes. It poses the need for a critical reassessment of the main tenets of modernism, the majority of which were still very much present in the art of the eighties and questioned in the next decade by the second generation of post-modernism. Glasstress 2011 demonstrates just how topical these themes still are and the need to explore them further. 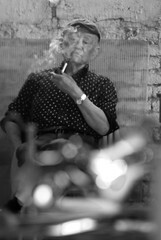 Demetrio Paparoni was born in Siracusa in 1954. He lives in Milan. An art critic, essayist and exhibition curator, he is the author of monographs and books on contemporary art theory. In the early 1980s he created the Tema Celeste magazine, which he directed until April 2000. 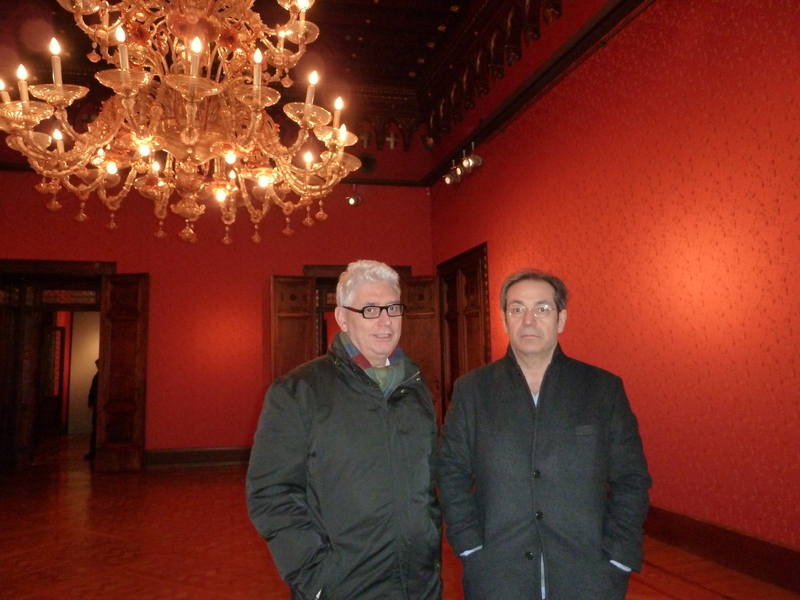 He was, among other things, commissioner for the Italian pavilion of the Venice Biennale in 1993. 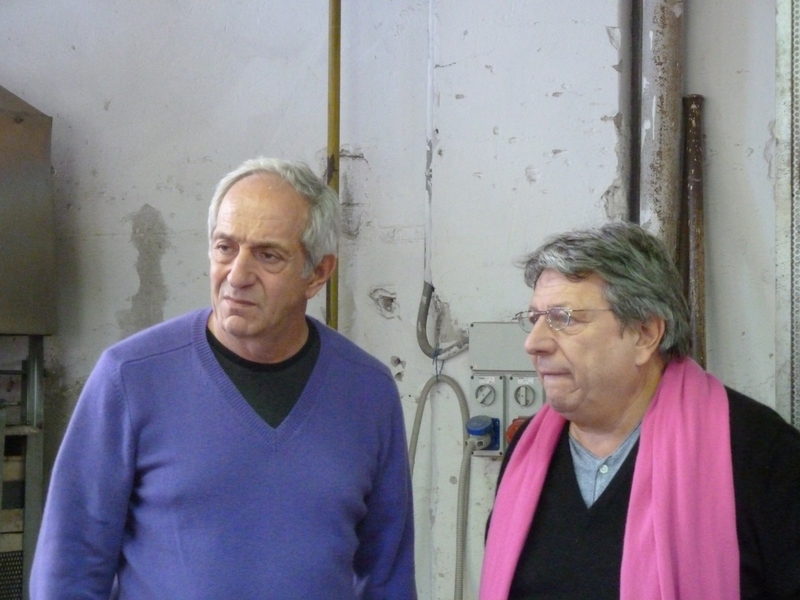 He taught the History of Contemporary Art at the Faculty of Architecture in Catania from 1996 to 2008. 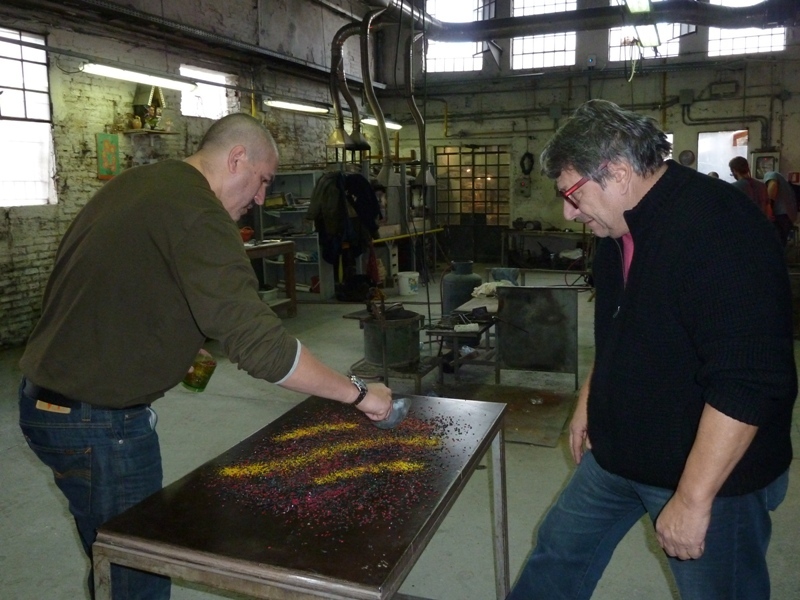 Glasstress 2011 artist, Michael Petry is an internationally exhibited multi-media artist, and co-director of the Museum of Installation, London. He was born in El Paso, Texas, and has lived in London since 1981. He received a BA at Rice University (Houston), an MA at London Guildhall University, and is finishing his Dr Arts at Middlesex University. He lectures part time at the Royal College of Art and the Royal Academy Schools and was Guest Curator at the KunstAkademi, Oslo, and Research Fellow at the University of Wolverhampton. Petry is represented by the Sundaram Tagor Gallery, New York, the Devin Borden Hiram Butler Gallery, Houston and the Westbrook Gallery, London. Introducing “Prometheus – Landscape II.” This is Glasstress 2011 artist, Jan Fabre’s latest stage production, scheduled to premiere at the Alexander Kasser Theater at Montclair State University January 20th-30th, 2011. The central image of the show is of Prometheus, bound and suspended high above the stage throughout the full 90-minute production. Symbolizing the artist bound by society’s contradictions: freedom of expression versus obedience to order, Prometheus, the bringer of fire to man, is also a symbol of creation and destruction. The story was concieved, co-written, and directed, and set directed by Fabre. Jan Fabre (born 1958, Antwerp, Belgium) is a Belgian multidisciplinary artist, playwright, stage director, choreographer and designer. His decoration of the ceiling of the Royal Palace in Brussels Heaven of Delight (made out of one million six hundred thousand jewel-scarab wing cases) is widely praised. In 2004 he erected Totem, a giant bug stuck on a 70 foot steel needle, on the Ladeuzeplein in Leuven. 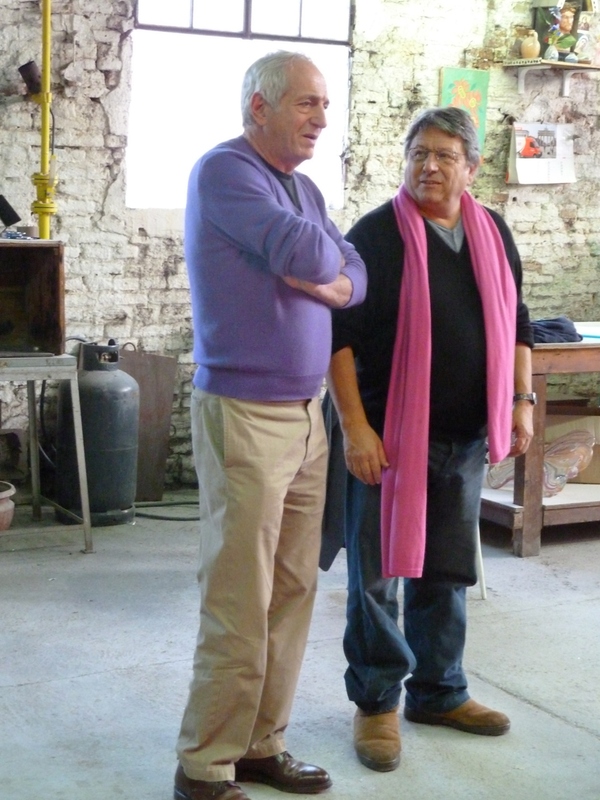 Earlier this week in Murano, we had an incredible visit from prominent Lebanese painter, Nabil Nahas. Nabil grew up in Cairo and Beirut, moved to the United States to study and earned his MFA from Yale University. Encounters with contemporary painters at Yale influenced Nahas to move to New York where he has exhibited regularly and received critical acclaim for his work. Nahas uses geometric motifs and decorative patterns inspired by the rich history of Islamic art. At the same time, Nahas is thoroughly educated in the tradition of Western abstract painting. These two poles combine quite provocatively in his work, seamlessly fusing into brightly-colored paintings suggestive of the richness of nature. In his most recent work, Nahas surprisingly introduces recognizable forms of cedar, pine and olive trees native to Lebanon, his most direct reference yet to his native land. His retrospective, Nabil Nahas: Perpetual Energy opened this summer is the inaugural exhibition at the Beirut Exhibition Center, an exhibition created by eminent American art critic Vincent Katz and sponsored by Solidčre. 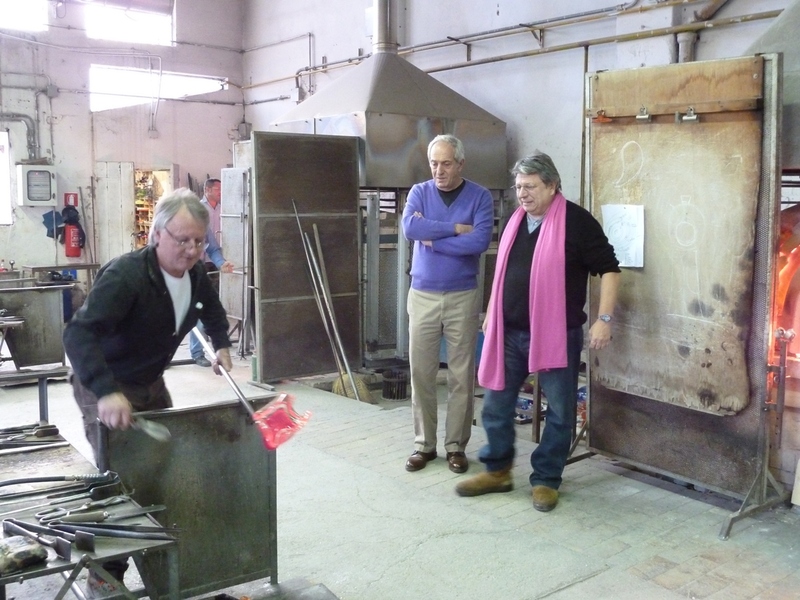 Nabil’s recent visit to Berengo Studios to create his works for Glasstress 2011 was also the artist’s first time creating works in glass. We are lucky to have his debut exploration in a new medium and proud that he, along with Marya Kazoun, will represent Middle East excellence at the exhibition. 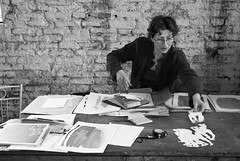 Earlier this month, Paul Cocksedge, and Louise Campbell stopped by for a visit to Berengo Studios to discuss their upcoming exhibits for Glasstress 2011. Louise Campbell was born in Copenhagen in 1970. Being the daughter of a Danish father and an English mother, she grew up and was educated in both countries. After graduating from the London College of Furniture in 1992, she returned to Denmark and continued her studies in Industrial Design at Denmarks Design School, graduating from here in 1995. 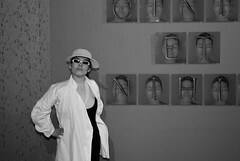 She set up her own studio in 1996, from where she has worked independently since. Focus is on furniture and lighting design, but the studio is increasingly involved in product design and interior design projects as well. The client list is long and varied, including companies such as Louis Poulsen, Zanotta, HAY, Royal Copenhagen, Holmegaard, Stelton, Muuto, Interstop and The Danish Ministry of Culture. Louise Campbell’s work is playful and experimental, and is increasingly gaining a reputation for gently twisting not only every day objects and situations, but also materials and manufacturing processes in new directions. 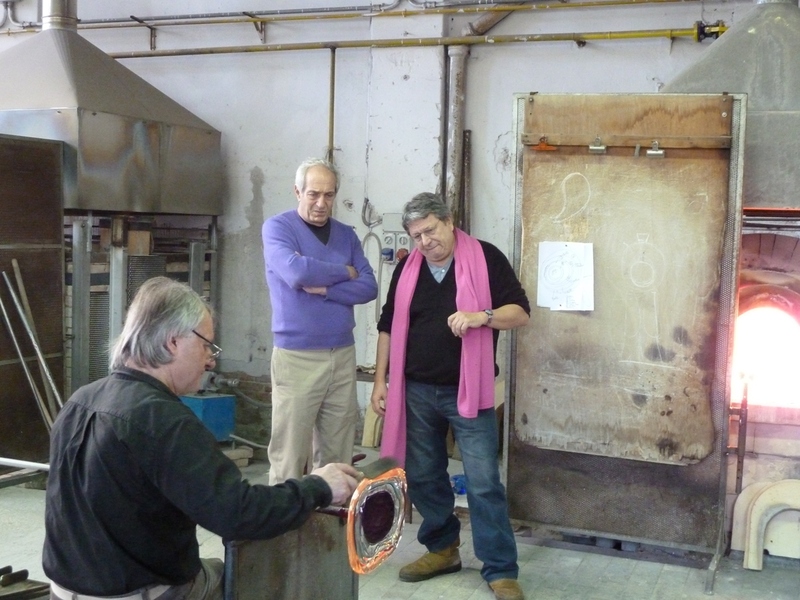 Part of our goal with Glasstress is to be sure that glass becomes widely recognized as a serious contemporary medium. We’re always happy to see some of the world’s greatest cities embracing the art form. Coincidentally, Berlin – along with Detroit, Glasgow, Mexico City, was one of the major cities honored at this year’s Art Basel Miami for their growing prominence in contemporary art. 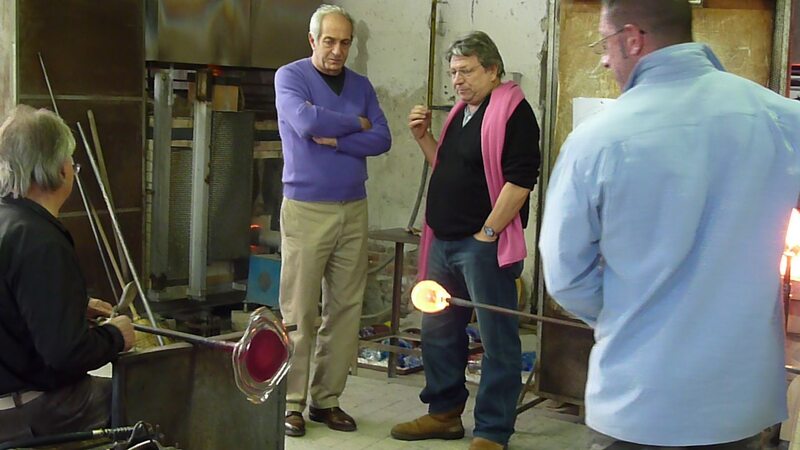 Check out this story originally posted in Glass Quarterly!
. Established as a nonprofit in 2009, Berlin Glas is scheduled to open in 2011 in an industrial space that is still being renovated to accommodate a glass facility. 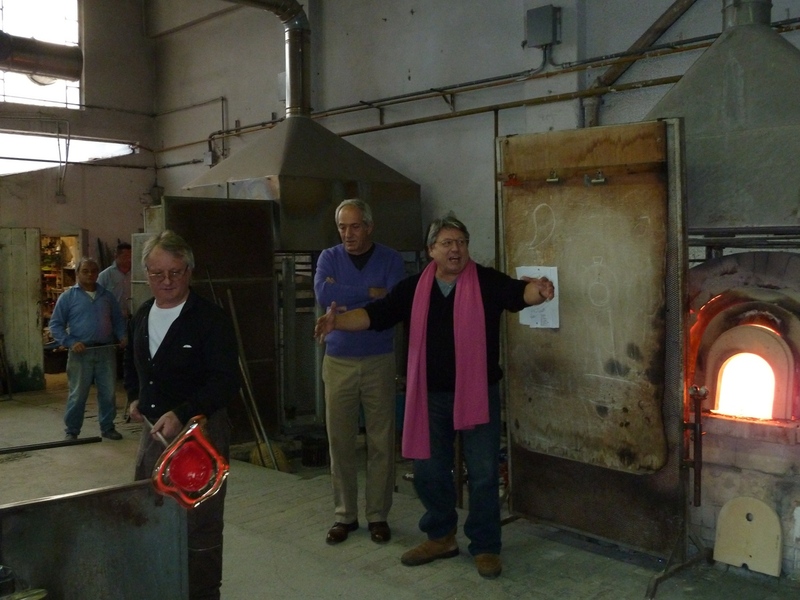 The inspiration for the founding of Berlin Glas was the lack of opportunities to work in glass in Germany, where the only option for many artists is to connect with the few glass programs at universities or rented space in glass factories. As Berlin continues to grow in prominence as a center for contemporary art, Idriss also wanted to make sure there was a glass studio that “will provide an exchange between artists working with glass and the abundance of talents that are already in practice in the city.” To that end, the new facility is being set up in Mitte, which is located close to the arts district of Berlin.